Get to know the La Peña Viewpoint in El Hierro. 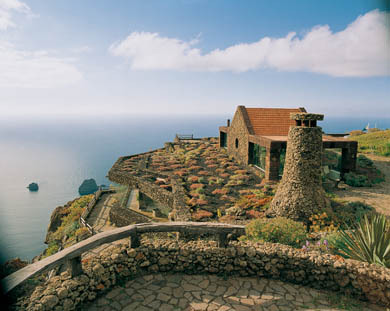 The La Peña Viewpoint was designed by César Manrique, and it’s located in Valverde on the island of El Hierro. The La Peña Viewpoint is located at 700 meters above the sea level and its building, made by stone and wood, is a great example of this island’s architecture. From this viewpoint you might have an exceptional view over the whole gulf valley, moreover it has many facilities such as parking, toilets, disabled access and a great restaurant where you might try the best dishes in El Hierro. Moreover from this restaurant you’ll have a direct view to the viewpoint. 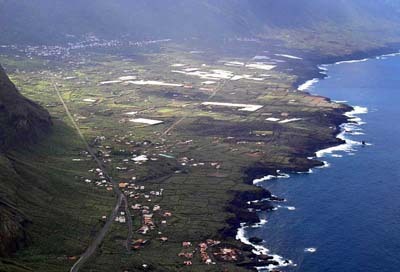 The La Peña Viewpoint and its restaurant has become a popular and important site to the El Hierro island, a must-see to all visitors.